US President Donald Trump has just served what seems to be an ultimatum to the legendary American motorcycle maker, Harley Davidson. Threatening heavy taxes if Harley Davidson shifted its production out of the United States, President Trump tweeted the following. A Harley-Davidson should never be built in another country – never! Their employees and customers are already very angry at them. If they move, watch, it will be the beginning of the end – they surrendered, they quit! The Aura will be gone and they will be taxed like never before! 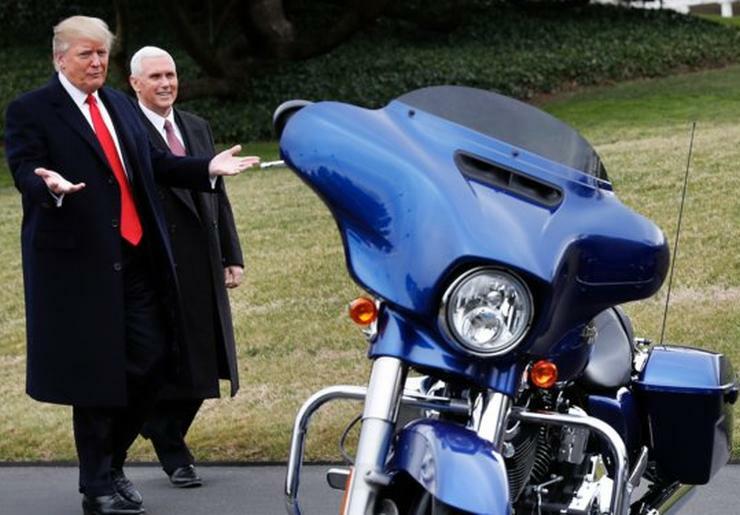 President Trump followed the first tweet with two more tweets, both warning Harley Davidson to not shift production abroad, and also of the heavy taxes that would follow if the American motorcycle maker actually went ahead and shifted production to Thailand – the ‘Plan B’ the company has been exploring in response to the European Union and China imposing retaliatory tariffs on the United States. Early this year Harley-Davidson said they would move much of their plant operations in Kansas City to Thailand. That was long before Tariffs were announced. Hence, they were just using Tariffs/Trade War as an excuse. Shows how unbalanced & unfair trade is, but we will fix it. When I had Harley-Davidson officials over to the White House, I chided them about tariffs in other countries, like India, being too high. Companies are now coming back to America. Harley must know that they won’t be able to sell back into U.S. without paying a big tax! Recently, the United States rescinded many of its free trade agreements with the likes of India, China and the European Union. This has led to most countries levying retaliatory tariffs on US-made goods. President Trump has since, gone on a tirade against many countries and manufacturers. To address the substantial cost of this tariff burden long-term, Harley-Davidson will be implementing a plan to shift production of motorcycles for EU destinations from the U.S. to its international facilities to avoid the tariff burden. Harley Davidson also has a production facility in India, at Bawal, Haryana, where it fully manufactures the Street 500 and 750 range of entry-level cruisers. The motorcycle maker also assembles the Sportster range through the completely knocked down (CKD) kit route. After the Trump tirade, it’ll be interesting to see how Harley Davidson handles its Indian factory operations.